All week long, I've waited for Saturday morning. Saturdays are becoming my personal times of retreat, rest and Bible study. Saturdays are a day set apart to bask in the Lord's presence, so all week I've looked forward to this day. But as I awoke to begin my retreat time, something strange began to happen. I became very discontent and aggravated. Distractions began running through my mind - I felt I was neglecting my responsibility of housework, unfinished paperwork, and being a mother and a wife. The battle of focus and where my attention belonged had begun. Once I was able to move past these lies another direction of thought was taken...The world is out having fun and you sit here all alone. Don't you have any friends? The world is passing you by. Get up and do something productive. Man, the battle was on and discouragement set in. I tend to believe lies many times because they are entwined with truth. I did choose this morning to continue sitting here with my Bible and pen. This day was set aside for personal study and retreat. I refused to heed the enemy’s words. For the last week I have been focusing on Psalm 119. Another distraction of the enemy is to entice me with large areas of Scripture that I should learn and know. 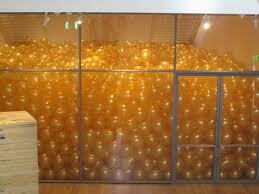 I describe it like having a room full of helium balloons. Each balloon is full of truth. As I look at all the truth that I do not know, I tend to get overwhelmed and attempt to grab it all quickly. If you have ever tried to grab several balloons at once, you know what happens, they either slip away or pop. I long to know the deep truths of God. I long to know God better. I long to be able to articulate the truth in a teaching form. I want. I want. I can get overwhelmed with all my thinking and as the balloons pop all the truth is lost and I've wasted a day trying to contain too much information to quickly. There is a much better way of receiving truth. This way is a slow steadily pace of growth. 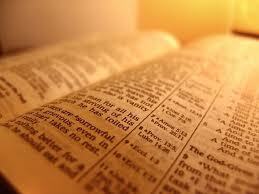 The purpose of Bible study and devotions is to get to know the author in a more deep and intimate way. To understand His heart and the way He chooses for you to live; this takes focused and imitate time of sitting in His presence. This week I have committed to go very slow in study. I have committed to the Lord to stay in Psalm 119 for a while. Even as I type this I am reminded that there is so much truth to learn why should I stay in one place for any period of time. The enemy is working overtime in my brain this morning. This really could be a long post but bear with me...I have some truths to share. There is direct correlation between prayer, God's Word, faith, and obedience. Psalm 119 gives us directions for a happy (blessed) life. We are each living out our life in a habitual way, either by the ways of the world or by the ways of God. I see some truths in Psalm 119:1-16 that I would like to share. Happy (blessed) are those who live a blameless, complete, and whole life. Happy are those who have a godly habitual pattern of living. 1) Keep His testimonies. 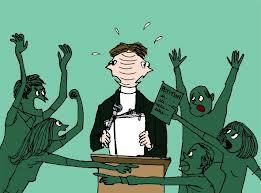 - Again the enemy this morning, "how can you keep testimonies that you do not know? Better grab it all as the world is passing you by or just give up and go join them"
2) Seek Him with your whole heart. 7) Delight myself in the Lord. It is difficult in this passage to see where the psalmist testimony ends and his prayer begins...He states truths, he states his longings and then he cries out for help. He praises and remembers where he desires his heart to be and then he cries out for help. He worships, he studies, and he loves. He memorizes, he declares and he worships. He thinks about God's ways. He thinks about God's love, he rejoices and longs to walk in all His ways and he cries out for help. He makes a commit to study and know God’s word and He cries out for help. This seems to be where I find myself this morning as well. What about you?